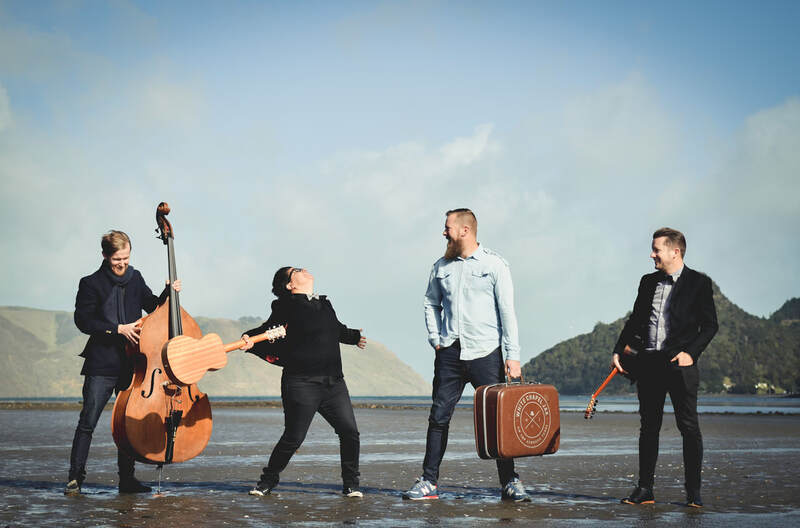 White Chapel Jak are a suitcase kick drum stomping, stand on the double bass dancing, classical guitar with overtones of "yeeaaah" strumming, hilarious 'Holly High Hair' styled Maori front lady, kiwiana rocking "Original" covers band! Over the past 5 years, they have made quite a name for themselves as one of the most hard working bands in NZ performing over 150 gigs per year. This band has a knack for getting you up and dancing in the middle of the day... or night...even if you swear on your favourite worn out pants "I will not dance! You will fall in love with their contagious energy, be mesmerised by their musical wizardry and lose yourself in the truly magical way they give you permission to just...let go and party hearty people!! With roots from Thailand, Spain & UK, Arachai and Daisy blend together to bring a unique mix of high vibration percussion with soft, melodic, thoughtful vocals and acoustic guitar. Pat for President are a hardworking professional acoustic musical duo.